Brick Town Talk: Inspiration of the Day - 9/9/11 - LEGO Town, Architecture, Building Tips, Inspiration Ideas, and more! Vicenza, Italy - (BTT) Despite working exclusively in a relatively small part of Italy, Andrea Palladio is considered the most influential person in the history of Western architecture. 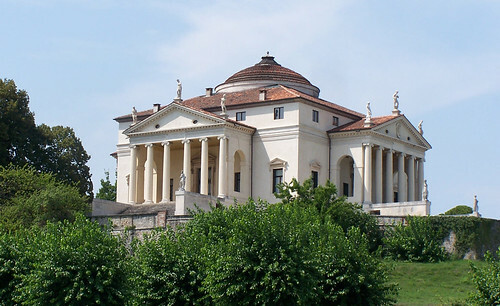 Appropriately done in the Palladian Style, Villa Capra, completed after the architect's death around 1590, has possibly influenced the design of more buildings than any other project.